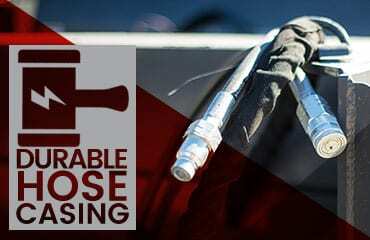 Unlimited Fabrications was created on the basic principles of American Industry . .
We offer high quality products made in the USA with excellent customer service to assist customers in finding the exact product they actually need, not just being ‘sold’ a product that can’t do the job. We realize you have cheaper options available for your skid steer or tractor attachments, but as the old saying goes, “you get what you pay for!” And this means that your less expensive equipment may cost you way more money in the long run through lost work time when problems arise. Our products are built with strict quality control standards, the highest quality of metals available and by individuals who have experience building and using the equipment we sell. We understand how to use each product through our own years of experience with operation of the attachments right in our own backyards. 12 months from initial sale. When you contact Unlimited Fabrication you will be assisted by someone familiar with our products. Someone who can help you find the right tool to solve any problem you may be having or task you need to accomplish. We pledge to lead you to the most cost-effective way to complete your job. 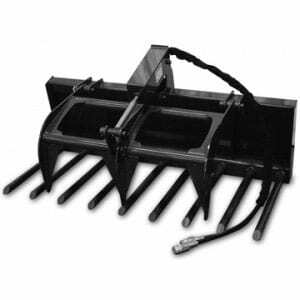 Unlimited Fabrication’s attachments are designed for skid steers, mini skid steers and tractors. 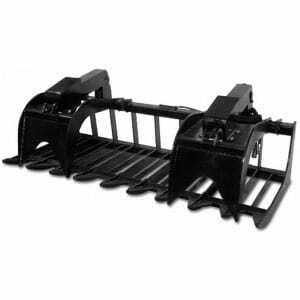 Our skid steer equipment fits all skid steers with a universal quick attach system including Bobcat, Case, John Deere, Caterpillar, New Holland, Daewoo, Terex, Thomas, Takeuchi, Mustang, Wacker, Kubota, JCB, Skat Trak, Hydra-Mac and others. 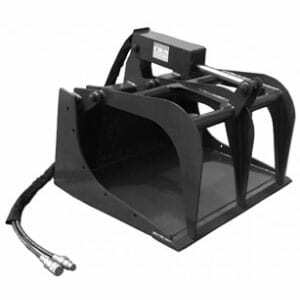 Our mini skid steer attachments are designed to fit Dingo, Boxer, Ramrod, Ditch Witch, Thomas, MT50, MT52, MT55 and Bobcat 464 skid steers. 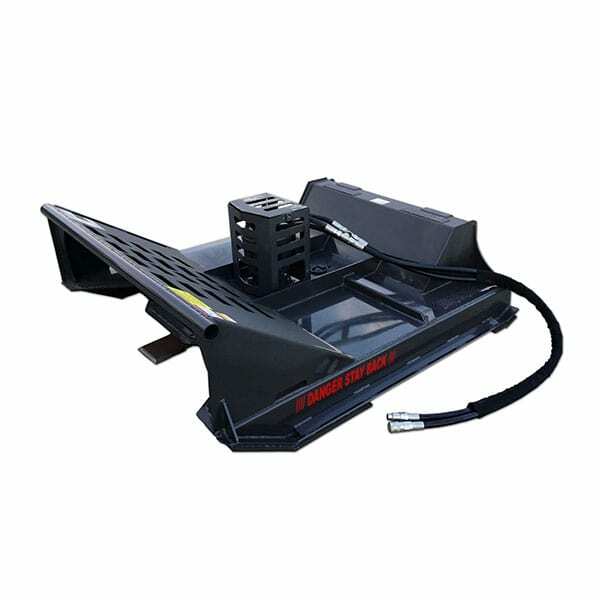 Angle Brooms sweep debris, snow, sand and much more with our reversible, hydraulic driven motorized sweeper. 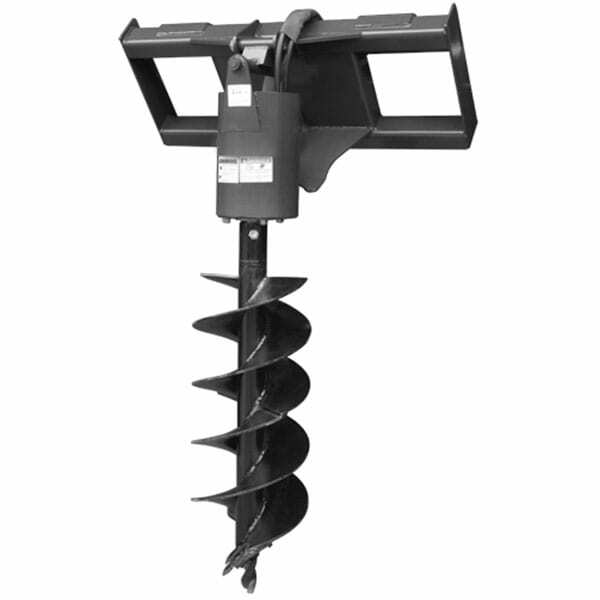 Auger Drives easily dig holes for fences or footings. Backhoes easily dig trenches, ditches, foundations, or anything else you want to dig at a depth up to 7 feet. 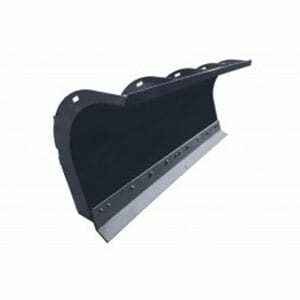 Brush Cutters are used to clear embankments, hills and overgrowth, cut trails or clear a pond. Many strengths are available based on the density of the area you are clearing. 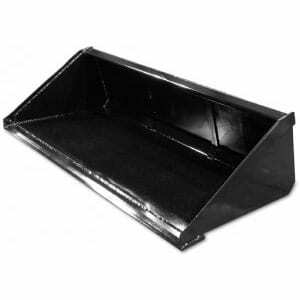 Buckets – If you are carrying rocks, loading dirt into a dump truck, or carrying and placing concrete, our wide variety of buckets will allow you to get the job done with ease. 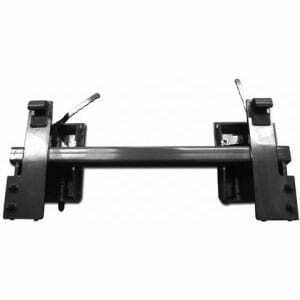 Conversion Kits easily convert skids steers to universally attach our equipment. 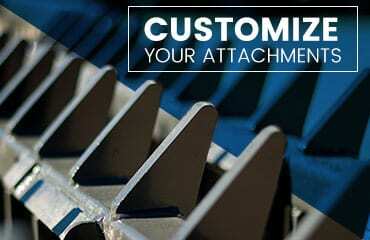 Economy Attachments are available for occasional use and less demanding applications. 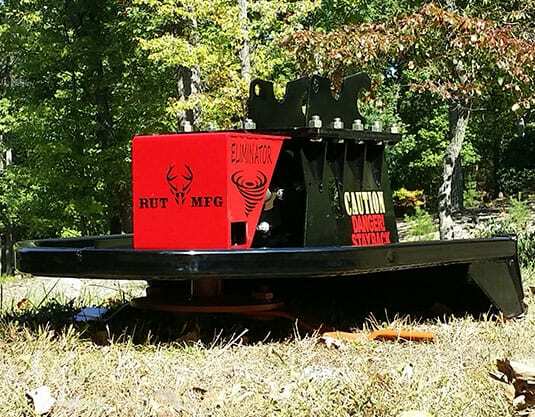 Grapples are ideal for clamping on logs and brush for loading, pulling trees and stumps or accumulating hay. 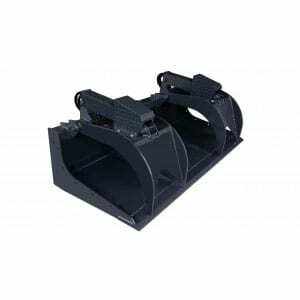 Grapple Buckets are ideal for picking up logs, rocks, left over building supplies or any other type of debris. Ground Management Equipment will make a landscapers job easy! Tilling, ripping or leveling land has never been easier. 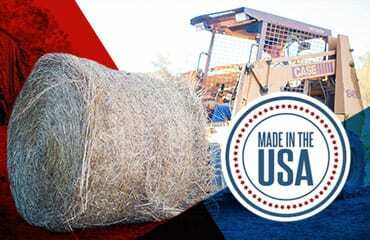 Hay Equipment provides many options for gathering and transporting hay bales. 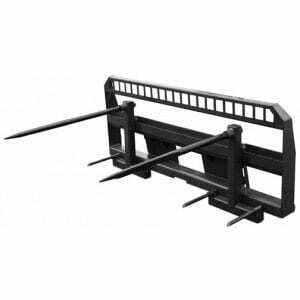 Log Splitters do just what you think – split those logs! 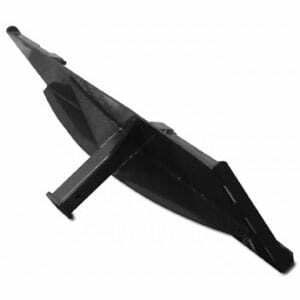 But you can also pick them up and transport after splitting with the same attachment. 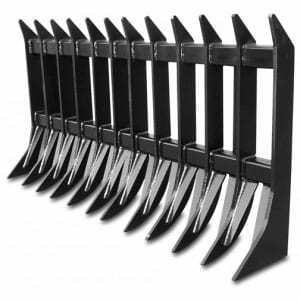 Manure Forks are ideal for the farm when clearing manure from hay, carrying hay bales for feeding, or cleaning up after a storm. 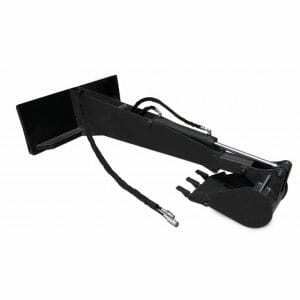 Mini Skid Steer Attachments provide versatility to BobCats and other compact skid steers. 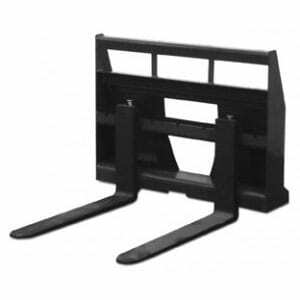 Pallet Forks are ideal for lifting pallets, loading lumber, loading logs, or just about anything else. 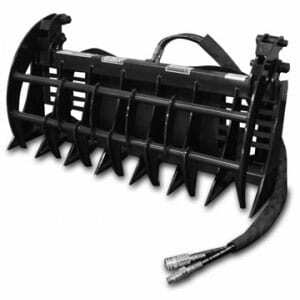 Root Rakes allow you to easily use your skid steer or tractor to rip up roots, then roll everything into one big pile for burning. 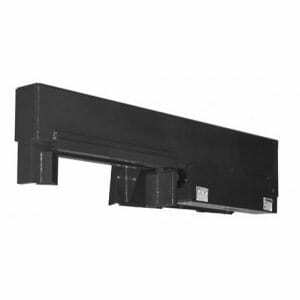 Specialty Equipment includes hitches, quick attach plates, tree booms and more! 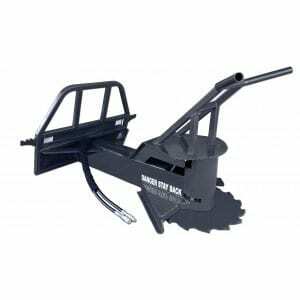 Tree Removal Equipment allows your skid steer or tractor to down trees, cut them and carry them away easily. The Tree Slayer Excavator Cutter allows FOUR jobs to be performed from just ONE attachment! Cut and trim the trees and brush, grubb out small stumps and roots with the cutting edge with replaceable teeth, then use the back edge to gather the debris into a tidy pile. Add your Thumb to the process and you have the ability to load and move the remaining debris. The Tree Slayer Excavator Cutter allows you to work efficiently by not requiring down time with attachment changes or increasing costs by bringing in extra equipment. 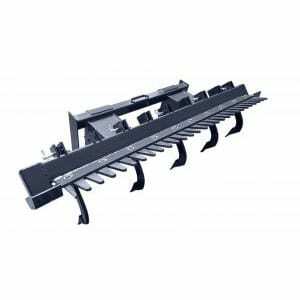 The Brush Eliminator Excavator Cutter is designed to maintain right-of-ways and manage overgrowth. This cutter has one function – to cut brush – and it does it well. 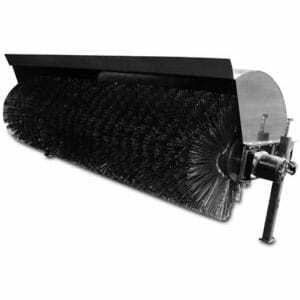 The Brush Eliminator is ideal for farmers, tree companies, municipalities, or anyone who wants to maintain their property. This dependable cutter will devour any brush and overgrowth.